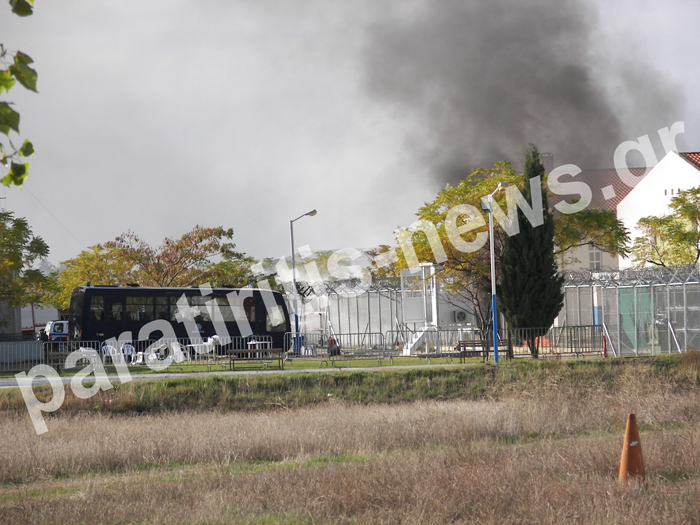 Uprising in Komotini detention center now! Published on November 23, 2012 in Uncategorized. Closed Tags: detention, detention conditions, greece, Komotini, new detention regime, revolt, struggles and resistance. 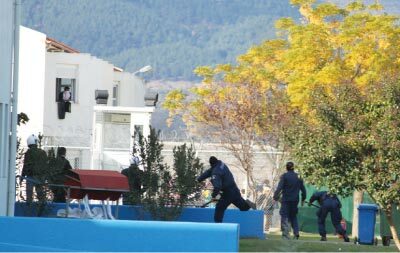 Following the events of last Sunday in Corinth detention centre, on Friday 23 of November, the detainees of Komotini started an uprising to protest against detention and demand freedom. Left.gr reported that repeated gun shots have been heard from within the prison and smoke was seen. Parliamentarians form Syriza are heading towards the prison to see what is going on after the police confirmed the information on an uprising. Extra police forces are on their way to “control” the situation. Later detainees inform from inside that when the riot police cracked down the protest with tear-gas and mere brutality they were forced to sit outside in the cold and that most of the 400 protesters had been beaten up. The main news mainly focused on reporting about four lightly injured police officers and the destroyed material and building. Anyway, they also reported that the destruction during the protest made it impossible to keep the migrants even one night longer there, so that officials started looking for other possible buildings to be used for the detention of the 550 migrants. 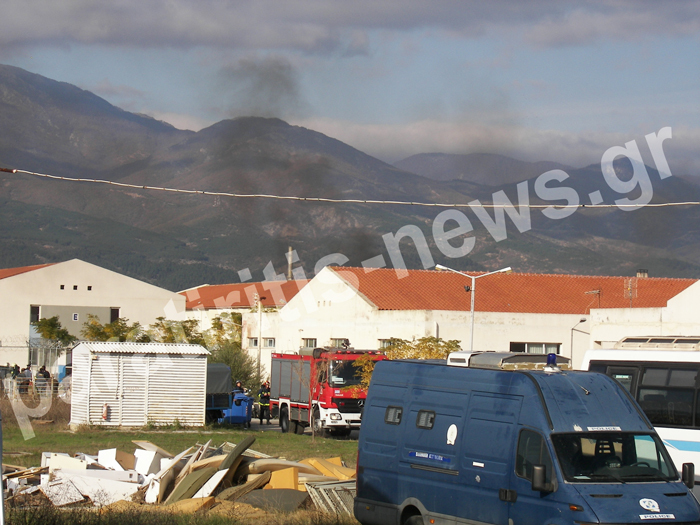 As reported in local news this kind of uprisings or protests are not seldom in Komotini detention centre. These more protests are more than a normal consequence of the repressive “Xenios Zeus” police sweep and the inhuman and degrading detention conditions all over Greece, the lack of access to information, legal aid, the outside world, interpreters etc. for the detainees. 55 detainees were arrested and were charges with two felony offenses (prisoners revolt and intended severe physical harm), and two misdemeanors (aggravated damage and violation of the Arms Act) following the uprising. The detainees continue to live in the destroyed building under miserable conditions without windows and electricity. Allegedly, most of the detainees were beaten up following their protest. Mustafa Tsolak visited the detention center on the day of the uprising together with a parliamentarian of Syriza. “We spoke with two migrants- one from Bangladesh and one from Ivory Coast – and they told us that they protested because some of the officers there are treating them in an inhuman way, they beat them, they throw hot water on them, they insult them during pryer, they let them shower in cold water, they open the doors of the toilets and pull them out. He also reports how the officers started beating some migrants in front of him and the parliamentarian and then pulled them into another building in order not to be seen.